1. Choose your location carefully. Don’t isolate yourself. If you do, it will hamper the networking which is an essential part of any new business. To have peace and quiet you don’t have to be miles away from neighbours – the pace of life in even a small French town is tranquil and calm. And it’s great to be able to stroll to the boulangerie for your morning croissant, or pop into to the local bar for a mid-morning coffee or an end-of-day aperitif. It’s an ideal place to meet local artisans and spread the word about your services. 2. Prepare realistic budgets. Your business will be a new start-up with limited turnover, so expecting it to fund your lifestyle quickly is unrealistic. If you adapt to the French way of life sooner rather than later (eating those vegetables and fruits which are in season and not buying lots of groceries from the ‘foreigners’ aisle in the local supermarket) that will keep your living costs down. Try to have two years’ living costs safely tucked away before you start your business. 3. Take advice… and not purely from internet forums, where opinion is often passed off as fact! Be prepared to start chats with skilled professionals whose knowledge can help you – remember that busy, successful people don’t have the time to post on forums. However, a surprising number will reply if you contact them directly with a polite request for assistance. 4. Ask yourself: ‘Is there a need for my business in France?’ Is it a tried and tested source of revenue? Do potential customers have the budget to buy from me? Is there a demand in the area where I would like to base myself? And, if there is, are businesses there already meeting that demand? Be realistic and ruthless with the answers you provide. 5. Define your market and research it. Find out if there are other people in the area doing the same thing you want to do. If there are, this need not be bad news! It may simply mean there is an existing demand, one that you can tap into. Don’t despair because you are the new kid on the block – get stuck in and remember that ‘slow and steady wins the race’. Consistent, effective effort always leads to success. There is no-fast forward button for building a thriving business. The early networking – the local marketing – you do is like any foundation… impossible to see after the event but essential as the basis for a strong structure to stand on! And even strong competition from other local businesses may not mean there is no room for you – the one who builds the better mousetrap eventually gets the bulk of the trade. 6. Study the French language… or you are handicapping yourself. This part of the project takes effort but your skill with the French language is a fundamental part of your business expertise. The better your language skill, the better you’ll do. Sure, you can get by with basic school French in some businesses but you’ll make more money if you’re fluent and the language study will pay for itself in time. It will also allow you to keep up with French news on TV and radio, keeping you current with affairs that may affect your business or your customers. And when it comes to learning French, put yourself outside your comfort zone. By all means go to the local ex-pat language lessons but don’t kid yourself that this is enough. See those more as networking opportunities than real language learning. Take lessons from someone who tests your language ability (beginner, intermediate, etc.) before they take you on – a sure way of knowing that they’re serious teachers who will adapt their lessons to your needs. 7. Research how ‘new business start-ups’ work in France. Become familiar with the paperwork necessary for business registration and get to know how the French tax system will classify your type of business. You don’t want to be finding that out a couple of years down the line! And be aware of the social charges one is obliged to pay. On-going ‘cotisations’ (which are French social charges a little like National Insurance contributions in the UK) are virtually 25% of your turnover. You need to be putting that aside, once you start to earn! 8. Don’t completely reinvent yourself and expect that it will work, especially in a new country with a different culture, language and methods. Utilise your old skills, albeit it in a new way. 9. Your qualifications may not be recognised in France without further study and examinations. Unfortunate, but true! Check with your local Chambre des Metiers or Commerce, and they will be glad to help you. And you do need to ask the branch nearest to your French home, because rules and regulations are interpreted very locally in France and what might be right for a friend of yours in Burgundy may not be accepted near your home in Brittany. Welcome to France, and the power of local administrations! So, bone up on how to ask for their help in French and prepare well for the visit. Take your passport and any qualifications you want to check out, translated into French. 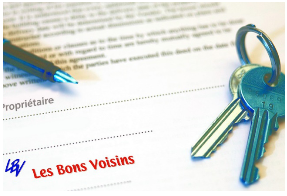 Don’t be surprised (or express horror) if you find they are not acceptable in France, but rather work with the representatives at the Chambres to find out how you might adapt your new business to fit in with what you can legally be registered for. Alternatively, discuss with them any local courses which will adapt your qualification and allow you to practise in France. 10. Consider a franchise. More and more of those people planning to live in France are hoping to start a business and earn a living here, so competition is increasing. Consider giving yourself a head-start by taking a franchise from an established business with a good reputation. This will effectively give you a ‘step-up’ in your chosen sphere and will often ‘fast track’ things such as business registration, tax administration, business systems, etc., possibly saving you months of research and work. That time-saving will allow you to get started immediately, without being distracted by peripheral but essential parts of any new business: creating a logo, building a website, organising advertising, establishing systems for payment, invoicing and correspondence, etc. It’s the business equivalent of buying a car instead of building one from spare parts. You still have to steer it and put fuel in but you will start your journey sooner and most certainly reach your destination much more quickly! The hand-holding and support that a franchise provides, which you might not have needed in your home country, can often prove invaluable in a new country with unfamiliar legislation, different cultural expectations and a new language. 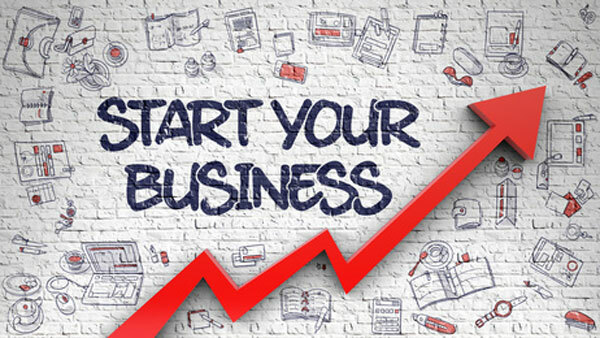 And once you are registered for business as a new franchisee you’ll automatically become part of the French health system, which alleviates another worry for some new entrepreneurs. Good luck! France is a wonderful place to live and work. Any new business can seem daunting but France rewards those who steer their way through the challenges. 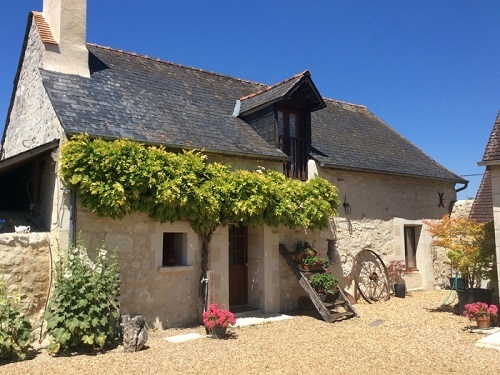 We may hold the key to your new life in France!